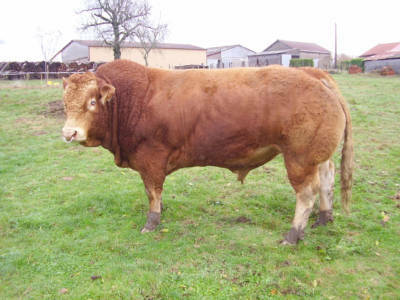 All Latifa Pacific Mary’s progeny have been certified A2A2 and have been proven to pass on this genetic trait from daughter (Princess Leia) to the next generation of Guernsey animals of which include Latifa Legend Yoda, a certified A2A2 bull currently at stud with Scawfell Genetics. The Latifa heard originally stems from the parents of Mrs Caroline Moody ( grand parents of Mike Moody). The generations of excellence started with the world record breaking animal Stype Rose 13 winning at Olympia and setting the world record in production in 1967. 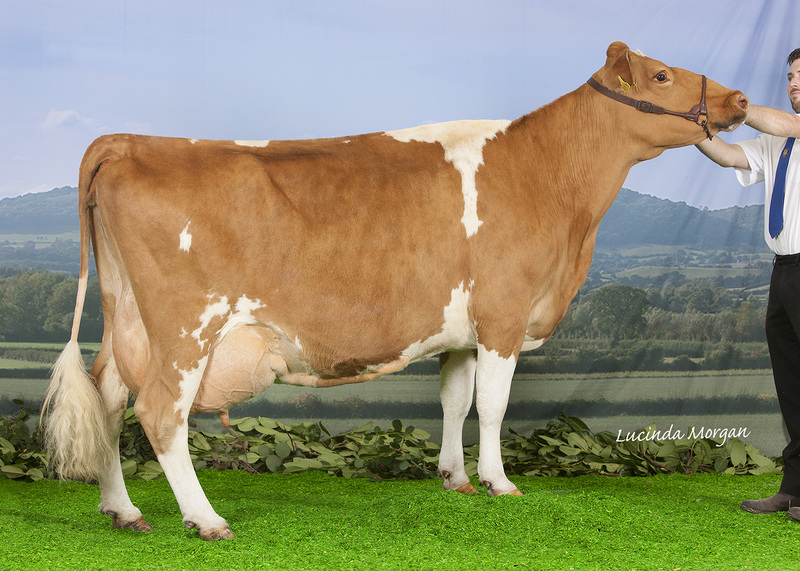 The 2010 heard registered on the foundation cow, Shalford Pacific Mary (92 2ex). 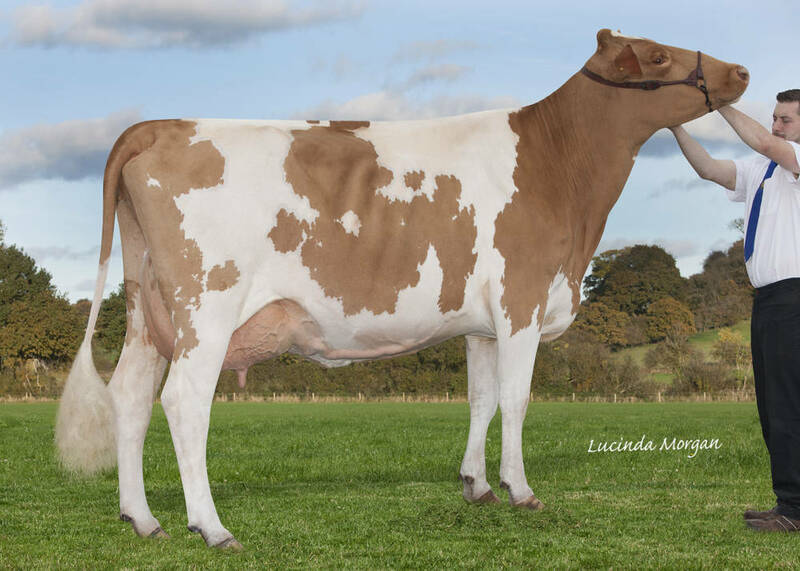 Yet Latifa Pacific Mary’s biggest success to date is not on the show circuit but as a brood cow passing on the superior genetics including A2A2, to her show winning daughters Latifa Princess Leia, Latifa Andante Mary, Latifa Andante Mary 2, all having huge successes of their own. In 2017 It was confirmed that Latifa Princess Leia set the Guernsey U.K. fat and protein Production record with her 2nd lactation, 50 years after Caroline Moody’s parents first broke the Guernsey production world record with Stype Rose, both 24 hour milking trial and 305 day lactation. Contact Pete on 07798 891611 for more details or fill in the form below and we will contact you.